Both powerchairs and electric scooters receive power from batteries to keep them running. It is a good practice to leave them for overnight charging to use them the following day. Even though powerchairs and electric scooters are built keeping the long rugged usage in mind, maintenance plays an important role to keep them in their best shape and in-service for a long period. Being an electrically powered vehicle, both powerchair and electric scooter produce some kind of mechanical and electrical sounds. These sounds are natural, which result because of an under-the-hood mechanism. Take notice of any unusual kind of sounds or noises made by the vehicle and contact the service provider in case you are not able to seek out and resolve the problem yourself. Every battery-powered equipment needs to be kept away from moisture. 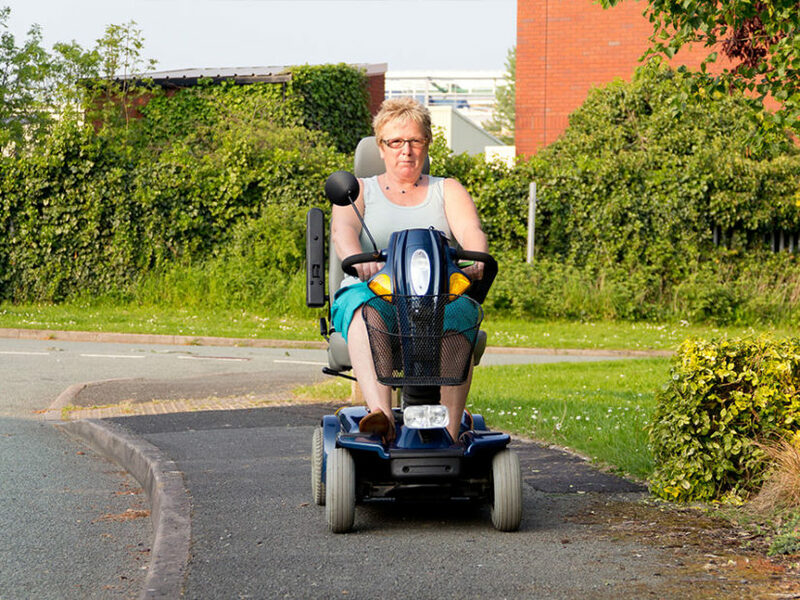 As the presence of water can result in corrosion of the electric parts, keep your electric scooter or powerchair dry at all times. Keep a clean piece of cloth in the back pocket of your ride to wipe off any water spills and splashes that accidentally splatters on it. You can use protective covers and shrouds to safeguard the vehicle against unnecessary water spills. Tires are an essential part of a vehicle. Without them, a vehicle cannot get anywhere. Therefore, it is necessary to keep a regular check on them. Blowouts are common, so you need to keep one or two spare tires at home. An extra inner tube might also come handy in the worst-case scenario. You must take care of tires, depending on their built. While solid tires need to be inspected regularly for tread wear and tear, pneumatic tires are required to be kept under close watch for a drop in pressure. Most battery-powered equipment comes with batteries having about half of the maximum charge capacity. Before charging the batteries to their fullest, exhaust them completely and then charge them fully. As batteries in consideration are deep-cycle batteries, a full charge is required to take full advantage of their peak charging range. Whether you drain the batteries completely or barely use them during the day, you ought to fully charge them at night. Regular charging helps batteries to deliver a longer in-service time. Avoiding battery depletion above 80 percent prolongs their life. Complete draining of batteries forces them to lose their power quickly. Batteries that are completely drained on a regular basis, needs replacement almost once in a year.